Given annually to an actor who fosters the "finest ideals of the acting profession," the SAG Life Achievement Award will join Alda’s exceptional catalog of pre-eminent industry and public honors. His career has earned him induction into the Television Hall of Fame, an Oscar® nomination, six Emmys® (plus an International Emmy® Special Founder's Award and 29 additional Emmy® nominations), four SAG Award® nominations, six Golden Globes®, four DGA Awards (including the D. W. Griffith Award), the WGA’s Valentine Davis Award, three Tony Award® nominations and more. In fact, he is one of only six people to receive Oscar®, Tony® and Emmy® nominations in the same year. This abbreviated list doesn’t even mention his numerous honors from the scientific community, including most recently the National Academy of Sciences Public Welfare Medal. Alda is indelibly linked to his 11 seasons as Dr. Hawkeye Pierce on M*A*S*H, which debuted in 1972. His work on the comedic drama set in the Korean War made him the only person to win acting, directing and writing Emmys® for the same series. M*A*S*H became a ratings juggernaut, and remains popular with old and new audiences on streaming services and DVD. In addition to his starring role, Alda directed and co-wrote its feature-length final episode in 1983, “Goodbye, Farewell and Amen.” That episode still ranks in the top ten list of most-watched programs in the U.S., bested only by Super Bowls: when it originally aired, over 70 percent of all televisions in the country tuned in. In 2004, Alda joined the sixth season of the Peabody Award winning The West Wing as Senator Arnold Vinick. He received an Emmy® for his performance in that role, which he portrayed throughout the critically acclaimed show’s finale 28 episodes later. Alda made his first major foray into nonfiction between those two series. He was invited to take over as the host of Scientific American Frontiers in 1993 and continued with what became Alan Alda in Scientific American Frontiers until the PBS show ended in 2005. Alda broke the mold by actively helping scientists communicate their work to viewers on a personal level, chipping away at the jargon and specialized knowledge until he – and therefore the viewer – could understand. Throughout his television career Alda has also been in demand for guest roles, starting with a cameo on The Phil Silvers Show in 1958 and continuing to the present day in shows including ER, 30 Rock, The Blacklist (for which Alda received an Emmy® nomination), The Big C, Horace and Pete, The Good Fight and, most recently, Ray Donovan. Alda landed his first movie role in 1963’s Gone Are the Days!, which starred the legendary Ossie Davis and Ruby Dee (both of whom preceded Alda as SAG Life Achievement Award recipients). He went on to show his range in dozens of additional movies, including his Oscar® nominated role as Senator Ralph Owen Brewster in 2004’s The Aviator. Among Alda’s many other films are Bridge of Spies (2015, Best Picture Oscar® nominee), The Longest Ride (2015), Wanderlust (2012), Tower Heist (2011), Everyone Says I Love You (1996), Manhattan Murder Mystery (1993), Crimes and Misdemeanors (1989), Neil Simon’s California Suite (1978), Same Time, Next Year (1978), The Mephisto Waltz (1971) and Paper Lion (1968). He also starred in and wrote The Seduction of Joe Tynan (1979), and starred in, wrote and directed A New Life (1988), Sweet Liberty (1986) and The Four Seasons (1981). But he’s not resting on his laurels. Alda will next be seen in the as-yet untitled Noah Baumbach project starring Scarlett Johansen and Adam Driver. Alda began his acting career on stage in improvisational theater and the Cleveland Play House acting company, but was soon working on Broadway. In 1962 he was in Purlie Victorious as Charley Cotchipee (a role he reprised in the movie version, Gone Are the Days!). By 1964 he was starring as F. Sherman (Felix, the “Owl”) in The Owl and The Pussycat. Alda’s first professional award came just two years later, when his tripartite role performance earned a Tony® nomination as Best Actor in a Musical for the Mike Nichols-directed The Apple Tree. Two additional Tony® nominations followed, one for the title role in Jake’s Women and the other for Shelly Levene in Glengarry Glen Ross. Alda most recently was seen on stage starring in the 2014 revival of Love Letters opposite Candice Bergen. Like all actors, Alda is passionate about communicating truths and making human connections, but in his case this drive has taken him beyond the parameters of his profession. He has written three best-selling books, and helped found the nonprofit Alan Alda Center for Communicating Science at Stony Brook University in New York, which has trained over 12,000 scientists and medical professionals in this country and abroad.He also recently launched Alda Communications Training, the proceeds of which support the Center for Communicating Science. His most recent venture is the Clear and Vivid™ podcast series, in which Alda interviews prominent people who are experts at influencing and relating to others. His unpredictable guest list has included Isabella Rossellini, Nobel Prize winner Eric Kandel, Tina Fey, novelist Ann Patchett, opera star Renée Fleming, and even television personality Judge Judy. Nominated and voted on by members of the SAG-AFTRA National Honors and Tributes Committee, the Life Achievement Award is bestowed for outstanding achievement in fostering the best ideals of the acting profession.  The recipient of this award is a well- established performer who has contributed to improving the image of the acting profession and has a history of active involvement in humanitarian and public service endeavors.